Applying makeup is a very tricky task even when you turn fifty or more. At this age, there are a number of things that you need to keep in mind while applying makeup to look elegant. Yes, it’s true that as the skin ages, makeup alone can’t help you look younger. But, if you use your makeup in the right way then, you can manage to look gorgeous. 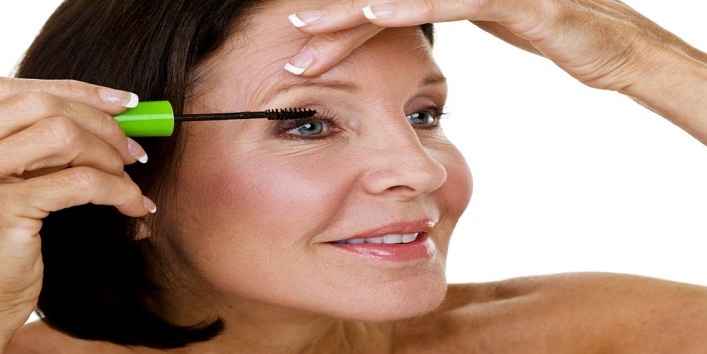 So, here are some makeup tips for women over 50. 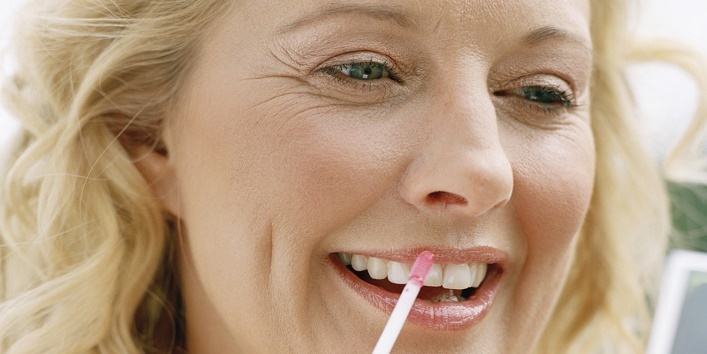 If you are over 50 then, maintaining the health of your skin should be your primary concern. Generally, a healthy skin requires less makeup. And keeping yourself well-hydrated and exfoliated can help you in the long run. So, here is a simple routine that you need to follow to keep your skin healthy. • First of all, keep your body hydrated. It helps in keeping your skin moisturised but also provides you with a perfect base for makeup application. • And to maintain a radiant glow on your face, opt for the retinol cream. You can also consult your dermatologist regarding the best product for your skin type. • Exfoliate your skin on a regular basis or opt for a natural facial scrub to get rid of the dry and flaky skin. • Last and the most important point is to apply sunscreen whenever you step out into the sun. And if you are wearing makeup then, make sure you opt for tinted sunscreen so that you can avoid the use of the foundation. Use of moisturizer and concealer can help make your skin plump and reduce the visible fine lines. Just apply some concealer on the affected areas and allow it dry. Then, apply a nice coat of moisturizer over it. While choosing the foundation, make sure that you don’t stick to the same old foundation that you used a decade ago. Try to opt for a tinted moisturizer during summer that can double up as a foundation and use a creamy foundation during winter. Try to make your eyes the point of focus as it helps in drawing away the attention from the wrinkles and fine lines. • Apply black mascara as it makes the white of eyes appear brighter and makes your lashes appear thicker. • Use eyeshadow to make your eyes appear youthful. Using bright eyeshadows can make your eyes look over dramatic while the dark ones can make your eyes look smaller. So, it is suggested that you should opt for natural shades. 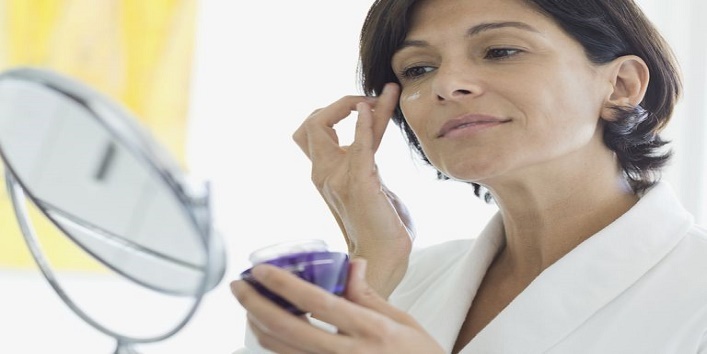 • Puffiness and dark circles are the two major concerns of the ladies when they are over 50. But, you can easily conceal them by using an under-eye cream and a color corrector. • Well-defined eyebrows can also help you look youthful. Just fill in your brows using an eyebrow pencil to make them appear fuller. As you get older, your lips are bound to become thinner. So, it is advised that you use a lip gloss instead of lipstick to make them look plump. Apart from this, try avoiding dark lipsticks as they don’t gel well with your age. Choose a shade that is one shade darker than your natural tone. 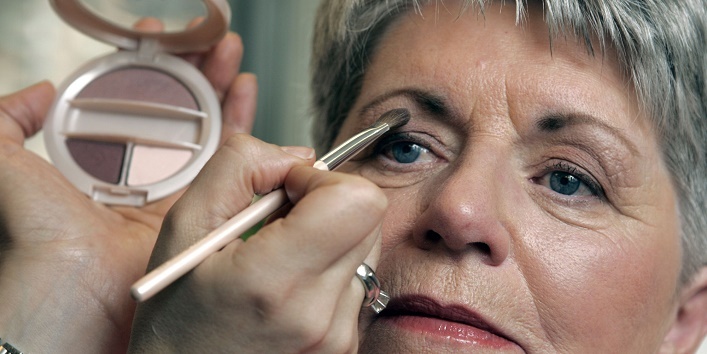 So, these were the few makeup tips for women over 50. Now, as you know these tips, opt for a natural and light makeup for yourself and look gorgeous.